Rev-Trac Platinum SAP change control automation platform for faster, safer and better SAP changes, accelerating your digital transformation. Rev-Trac Insights SAP change intelligence software to maximize systems uptime and reduce the risk of project and release delivery incidents. Find out how Rev-Trac Insights can help you achieve your business objectives. Stay up-date on all things Rev-Trac and RSC, from resources to insights and more. A complete solution to see inside your SAP systems to avoid costly, unscheduled downtime. A complete suite of SAP tools that allow you to see inside your SAP systems to avoid costly, unscheduled downtime. Gain the power to understand your SAP solutions integrity at any point in time with advanced applications that provide change intelligence on custom code and system information. Alerts to potential threats enable users to act quickly to make improvements or prevent a systems disaster. Spend more time on innovation not support. Unlock the power of these SAP tools to keep your solutions in order and maximize systems uptime. Recover time lost in development processes. Empower your developers to improve code quality and optimize practices to work faster with less risk. Project and release delivery incidents happen. Make use of applications to rebuild software and minimize the impact of accidental losses. Test drive Rev-Trac Insights online. Get in touch and we will set you up on our fully operational, cloud-hosted Rev-Trac Insights installation. Explore and evaluate the software’s custom code analysis applications at leisure, with 24×7 access. Is Rev-Trac right for you? Fill out the form below and one of our SAP Change Control Experts will get in touch. An RSC solution that enables organizations to increase business agility and accelerate transformation in a fast-paced digital economy. 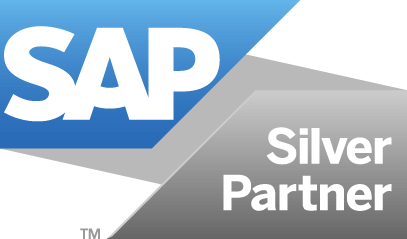 Our company is an SAP silver partner.